JU Davis College of Business students, Dean Capener, and VIP guest speaker April Lane. The Jacksonville University Davis College of Business (DCOB) Second Global Conference on Advances in Management (GCAM) brought Amazon superstar April Lane to campus earlier this month. Her keynote presentation began with a Jeff Bezos phrase: “Start with the customer and then work backward.” Lane shared a behind the scenes glimpse at how Amazon thinks. Specifically how the marketplace empire thinks about groceries. Lane is the Director and General Manager of Perishables, Private Label & Pickup, AmazonFresh & Prime Now at Amazon. Her track record spans more than 16 years in marketing strategy, business development, brand management, and team leadership. As a leading voice at Whole Foods Market, she oversees dairy, deli, bakery, prepared meals, meal kits, private label, and local businesses. Lane is also integral to Amazon’s Fresh Pickup. Her previous executive experience with Nike, Limited, and the Boston Consulting Group shaped her a unique business perspective. A skill set she has leveraged every day for the past nine years at Amazon. For someone who considered pursuing a law career, Lane frequently shares her story with students and customers alike. That story includes consumables reaching a tipping point in e-commerce. Lane asked conference attendees how companies should navigate current shifts in consumer paradigms. Those shifts, she said, boil down to two realities. More than half of all food consumed is now consumed outside the home. More than half of all food-related shopping now happens on a three-inch screen. The differences between a physical shelf in a local store and the virtual shelf are numerous, she said. But the greatest challenge of the virtual shelf is discoverability. “How do you encourage discoverability in a world of choice?” Buyer behavior is different online, Lane confirmed, and physical constraints on virtual products play a critical role. “At the core of what every ‘Amazonian’ does,” she said, are three basic concepts—value, selection, and convenience. 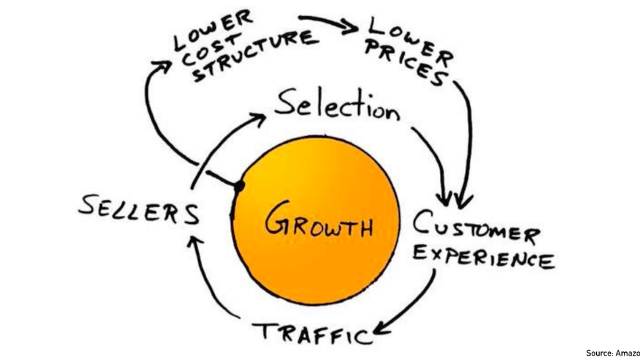 These tenets are what spins Amazon’s “Flywheel,” their strategic framework. She reviewed the company’s evolution from an online books-only titan to opening AmazonGo locations free of check-out lines. Company history is fundamental to understanding its decisions today. Lane shared how PrimeNow launched in less than 100 days in the middle of Manhattan and asked conference attendees what those first PrimeNow customers wanted. It wasn’t what Lane or anyone else expected at the time. the “oops” trip for that all-important but forgotten recipe ingredient. Customer education, she said, is another approach to enhance customer experience and profits. Content then begins to play a leading role online. Buying guides have demonstrated success for Amazon, Lane said. Content that helps demystify a product or price point works best. Eggs, Lane said, are a perfect example. Customers often do not understand differences between cage-free, organic, Grade A, grass-fed, non-GMO, free-range, Omega-3, or pasteurized. Why are some more expensive than others? What are the health advantages? And most importantly, is it worth the price? What these anecdotes mean for today’s business student, Lane said, involves curiosity. “Every step along the way, the most important thing is being curious.” Not exclusively in your personal, collegiate, or professional lives, but when considering customer experience. Again, she said, it’s all about discoverability. Jacksonville University’s Global Conference on Advances in Management (GCAM) works to bring researchers, practitioners, and students together in a great exchange of experiences, ideas, data, and practical solutions in the areas of accounting, finance, banking, management, consumer marketing, information systems, supply chain management, and other business sectors. 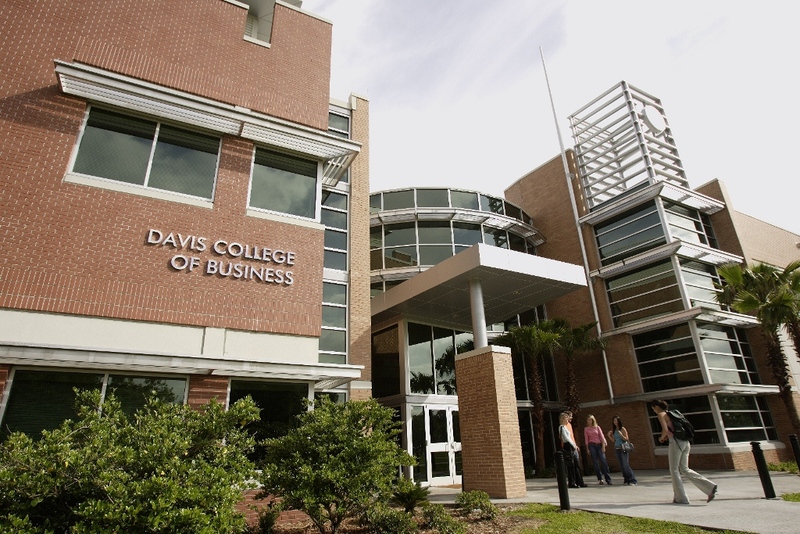 The Jacksonville University Davis College of Business is the only AACSB accredited private business school in North Florida and South Georgia, a region that encompasses the most dynamic and economically diverse industries in the Southeast United States. From major international ports, logistics and transportation companies, global financial services companies, consumer goods and services organizations​, information technology, and world-class healthcare organizations, the greater Jacksonville community provides rich opportunities for internships and careers. For more information about our business programs, visit the Davis College of Business online.